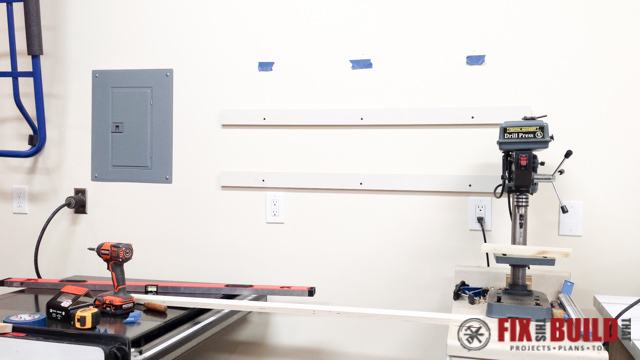 I recently reconfigured my shop and have a French Cleat Tool Storage System made it so easy to move all my shop cabinets and racks around. If you want some flexibility in your shop then you need to give the french cleat system a try! 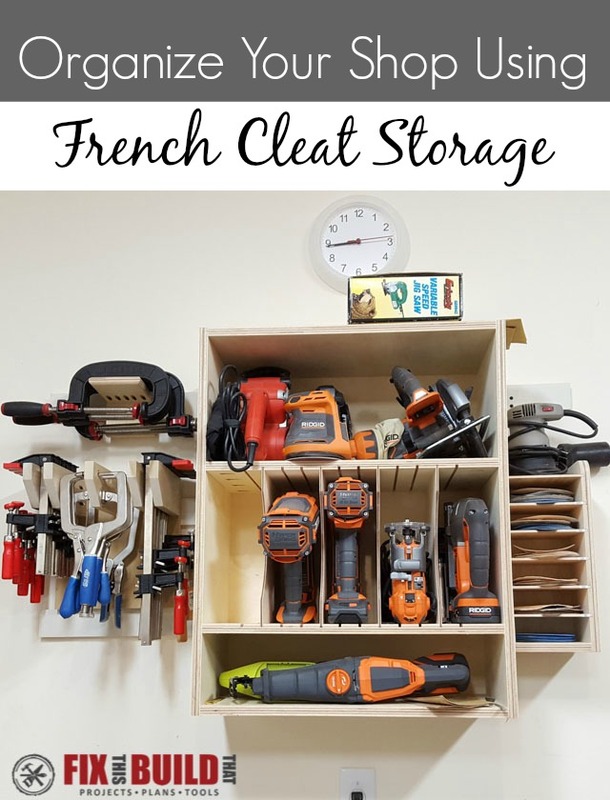 Today I’m going to give you a quick primer on french cleats and show you how I setup a couple sections in my shop. 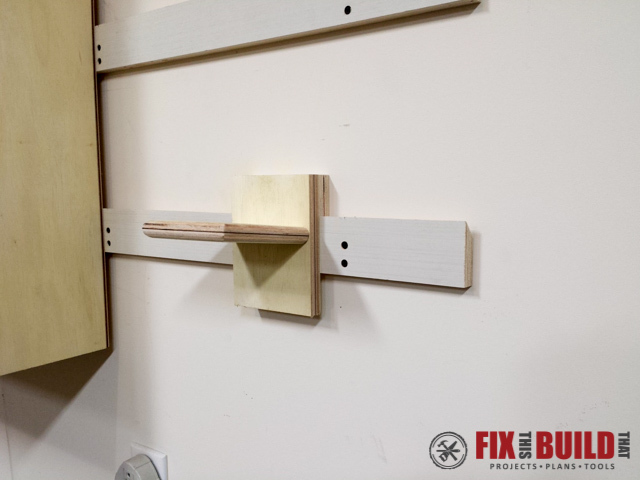 I’ll also show you some of the projects I’ve built that use the french cleat hanging system and give you links to build those too. 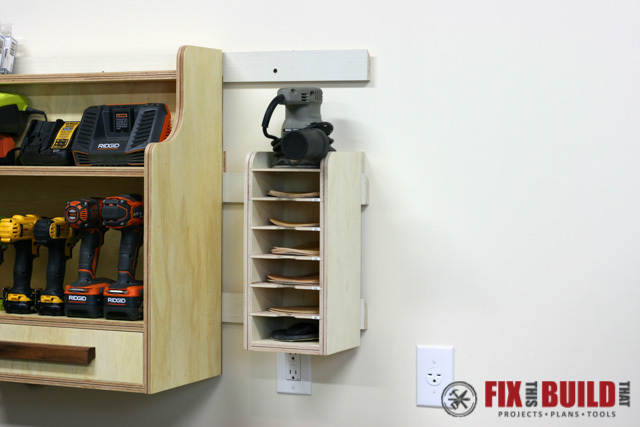 And I’ll also show you how easy it is to make a small tool holder. Here is a quick video which shows you how flexible this french cleat system is and how easily you can reorganize your shop! The heart of the french cleat system is a series of wooden strips which have a 45 degree angle cut on one side. 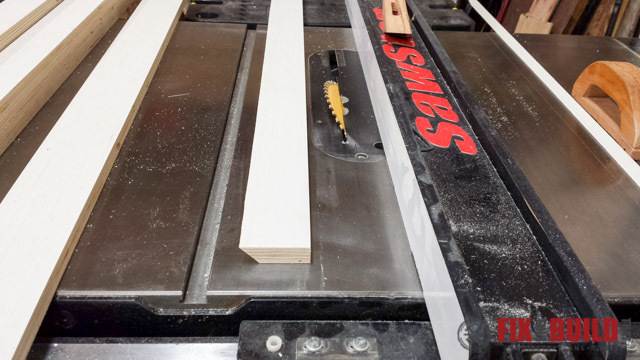 The easiest way to get a lot of strips is to use a sheet of 4×8 plywood and rip it down into several strips. 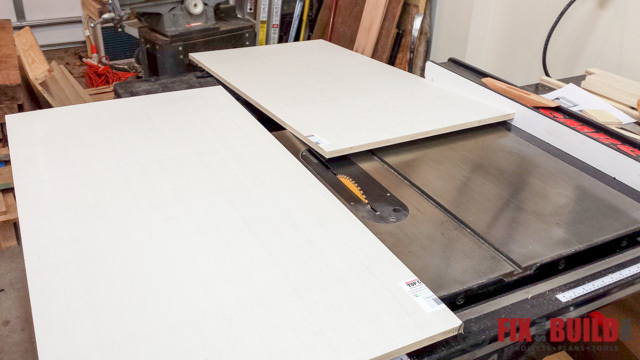 After that start making the french cleats by cutting a sheet into a more manageable size to handle on the tablesaw. 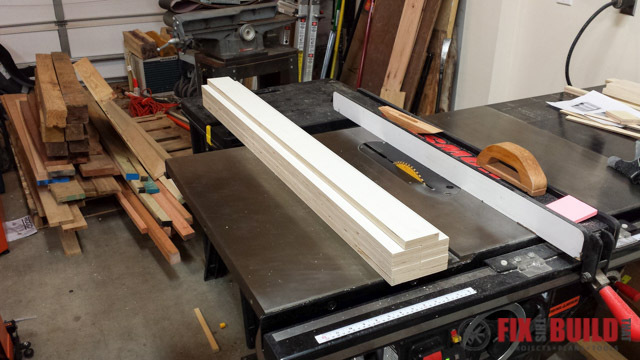 Then cut a series of 3″ wide 4′ long strips. The number you’ll need will depend upon how much wall you are trying to cover and how far apart you want your cleats. 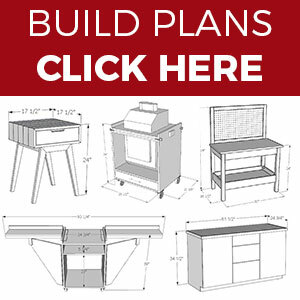 So do some planning here to see what fits your needs. 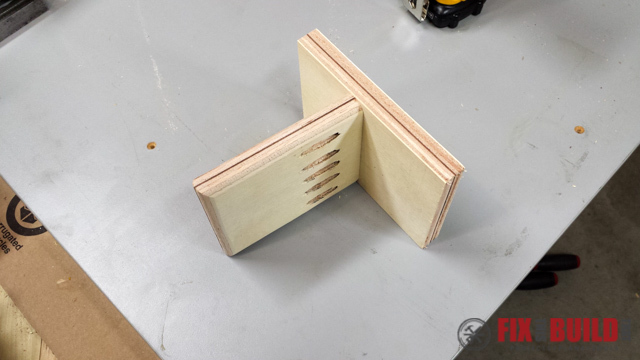 And remember, you’ll need strips to mount to the back of your racks and cabinets so you need to factor in for that as well. The interlocking feature of the french cleat is from two mating 45 degree bevels. 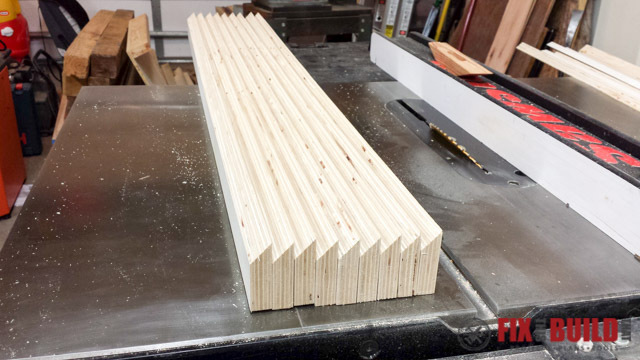 Set the bevel on your tablesaw blade to 45 degrees. After that cut a bevel along one of the sides of each strip for the french cleats. You’ve quickly got a big stack of french cleats when you’re done! I decided to go with a 10″ gap between each french cleat. This would allow me to span 30″ with 3 cleats and support a 30″ cabinet. I did this because 30″ was the biggest piece I was hanging on the french cleats. Do some planning and figure out the height you want the french cleats to be so the cabinets and tools will be at the right height for you. 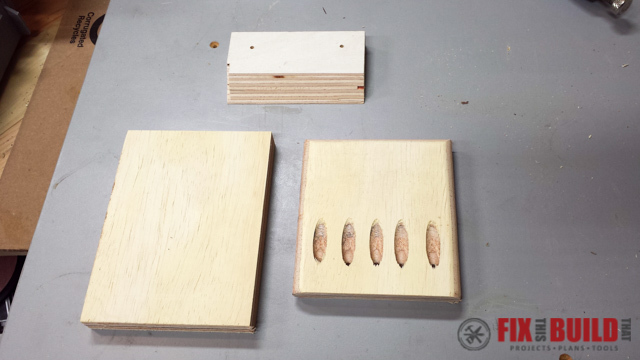 Then use a 4′ level and some 3″ wood screws and attach the french cleats into at least 3 studs. I used the blue tape to mark where the studs were as well as mark the level line I struck with the 4′ level. The bevel of the french cleats should be facing up and sloping down towards the wall. This is the key to the french cleat tool storage system because it gives it the strength. Alright, at this point the sky is the limit! 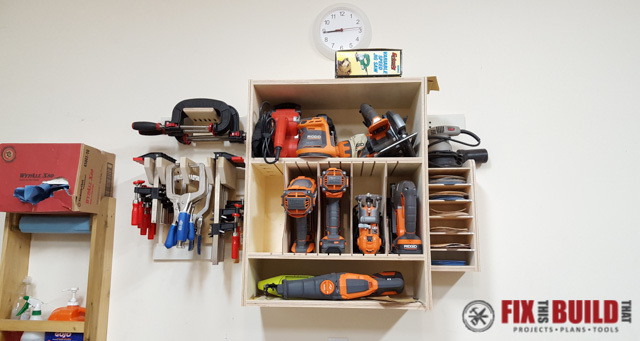 Now you can make any number of french cleat tool storage options for any type of tool, cabinet or rack. 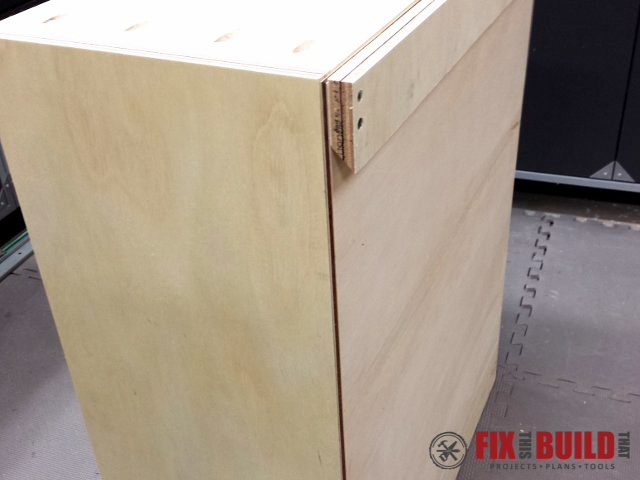 Put a 3/4″ spacer on the bottom if you have a smaller project. 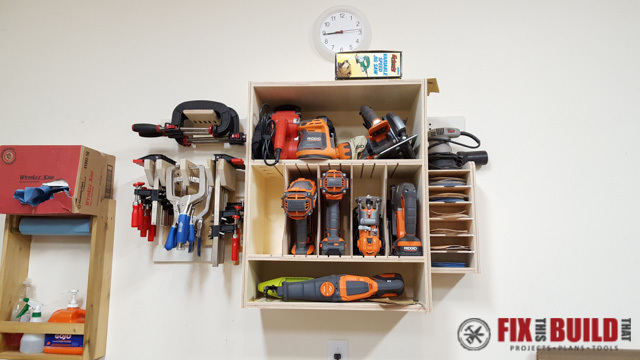 You can see an example like this on my Wall Clamp Storage Rack. This will support it and hold it off the wall using just one french cleat. Also, for bigger projects I use 2 screws on each side of the french cleat and attach them into the sides. I use 1-5/8″ or 2″ screws so it holds well. 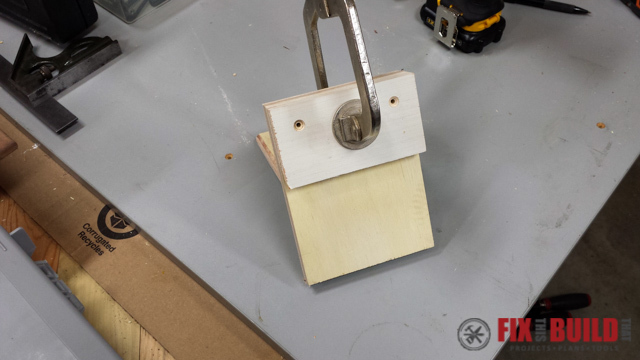 I’ll show you how easy it is to make a holder with an example to hold some c-clamps. Cut a 5 degree angle on the projecting piece that will hold the clamps so gravity would want to pull them back to the wall. 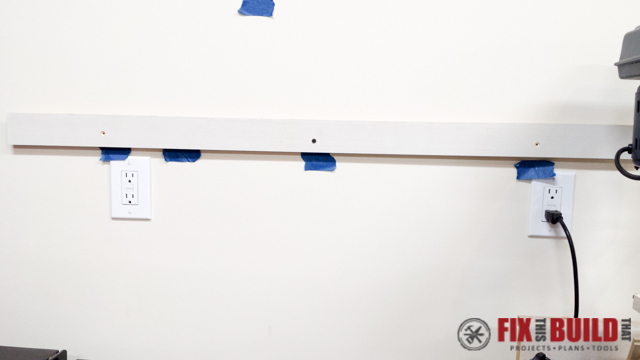 Secure the pieces together with 1-1/4″ pocket hole screws. 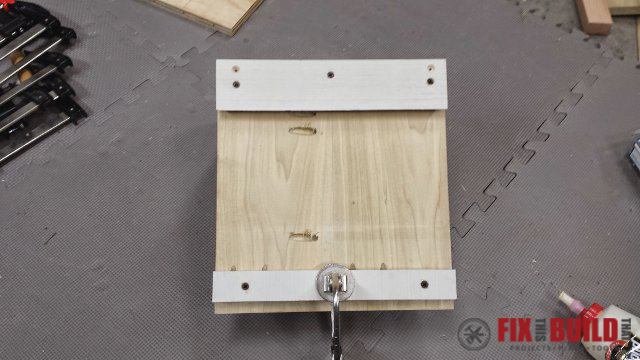 Then attach the french cleat to the top of the clamp holder with 1-1/4″ wood screws. That’s it! Seriously, that’s all it takes. Now just slap that bad boy on the cleat wherever you want it because it can go anywhere. 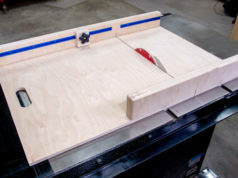 Then load it up with clamps. 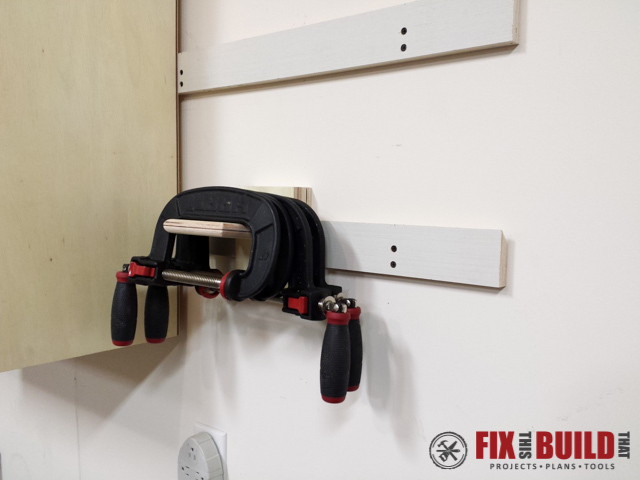 I’m sure you can see the possibilities really are endless here with this french cleat tool storage system. Use your imagination and come up with a completely flexible system unique to you shop needs. Here are a few of the projects that I made that incorporate french cleats. 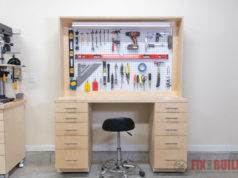 In this picture you can see my Tool Storage Wall Cabinet, Wall Clamp Storage Rack, and Sandpaper Disc Storage Rack. They all hang easily on the french cleat system. 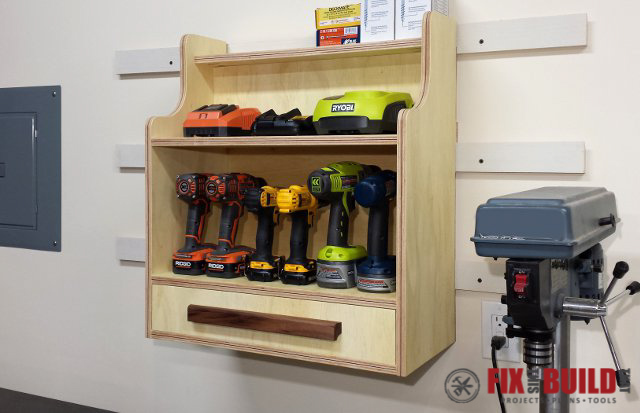 I also made a Cordless Drill Charging Center which utilizes the french cleat system as well. You can see from the pictures that I move these around quite a bit and with the french cleats it makes it super easy! 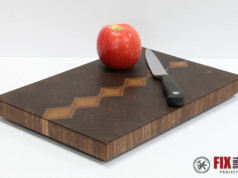 If you want to see some other great shop projects head over to my Shop Projects page and browse around. Have fun and get your shop in tip top shape!